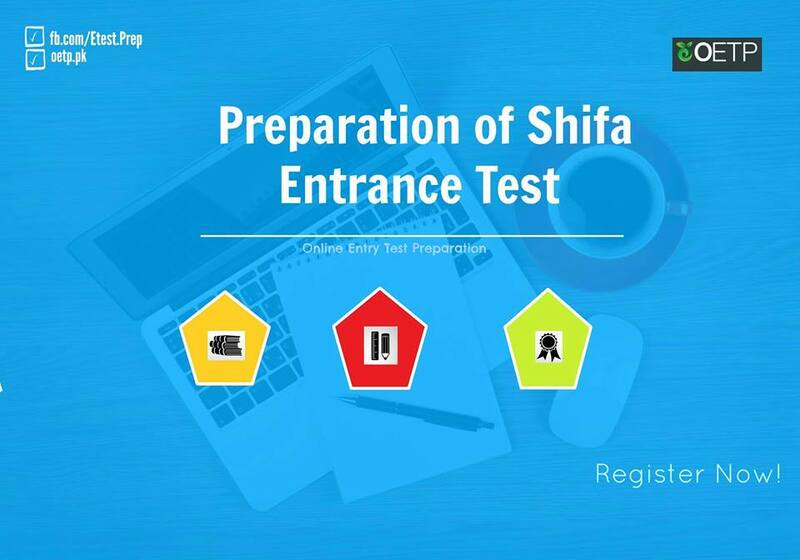 The topics that are to be prepared for each of these subjects is available on the website of Shifa. The questions of Biology & Chemistry are mostly book based i.e. those can be solved if you have learned your text books, so for these subjects I'd suggest to just focus on your course books. "English section will test mainly comprehension and vocabulary"
The vocabulary words can be from any source, there is no defined syllabus for it. So those who are cramming the vocab words from SAT books or any other source I'd advice them not to do so and instead invest their time in preparation of Sciences. For comprehension portion all you need is the practice and that can be done from any source, either SAT books or the internet. The portions where most of the students loose their marks are Physics & Maths. This is because both these involve some calculations and medical students because of being not familiar with maths since last 2 years face issues in these. These two subjects carry 180 marks in total. Most of the students will be able to solve the rest of the paper but these 2 portions are the ones which really will decide who is going to be selected. This is why we have created an online course, in which we will help & test you in the preparation of these 2 portions. It will be a 15 days online course. According to the syllabus given on website there are 15 topics of Physics that are to be prepared, so this makes one topic per day. For Maths, there are about 10 topics that you need to prepare which would also be covered in these 15 days course. For Physics you will need to prepare a topic daily according to our schedule. The next day you will be tested from that topic. The test will be online. You can solve the test at any time of the day & as many times as you wish to. When you will complete the test you will be shown your scores, correct answers & solutions for all the questions. In the solutions we will explain the short ways of solving the questions so that you may save some of your time in the test. For Maths we will first post the explanation and the details (formulas etc) that you need to prepare for the topic and the next day you will be tested from that. So for maths we will provide you all the material needed for the preparation. Every registered student will have his/her own personal account using which all the stuff will be accessed. The course will hosted on our website ( oetp.pk ). Previously we had been conducting online preparation session for NUST which proved to be much helpful. The fee for the online session is Rs 1000 , the session will continue for 15 days. During the session students will have a chance to contact us any time via facebook or call. In case someone is facing difficulty in preparation of maths, skype session can be arranged and in case you are from Rawalpindi / Islamabad region a meeting of an hour or two can be fixed during which all your queries will be resolved but that would be in case if you are not able to understand from the data we will upload during the session. We will also create a facebook group, which only registered members can join for discussions. The session will start from 15th of September.